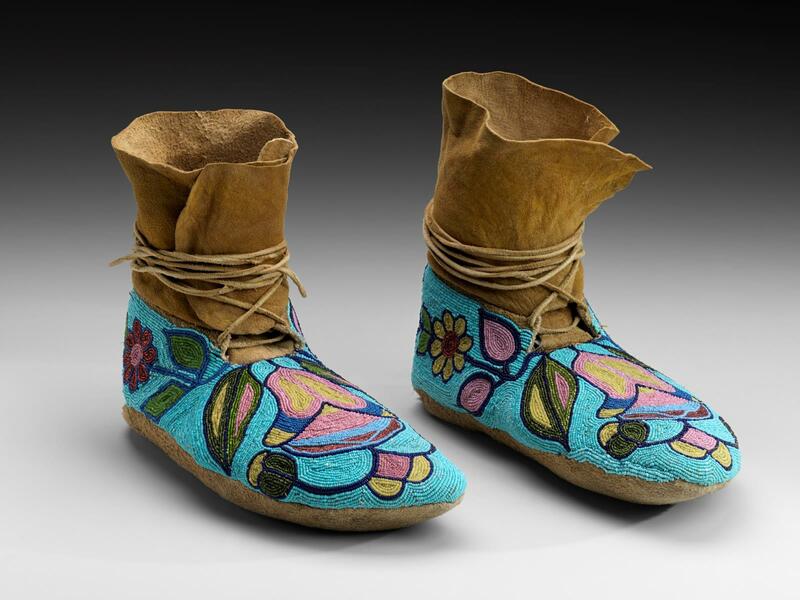 Pair of mocassins (Native American, Nez Perce, 1890-1900). Leather and beads. Gallery Instructor 50th Anniversary Fund to support The Heritage Fund for a Diverse Collection (2016.166.1-2). Photograph © Museum of Fine Arts, Boston.